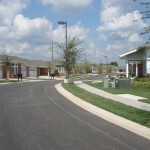 Concordia Village - Patio Homes - S. M. Wilson & Co. Concordia Village - Patio Homes - S. M. Wilson & Co.
Three new three-unit patio homes were built on the existing campus of Concordia Village Continuing Care Retirement Community. 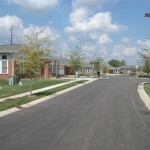 The independent living homes, each 2,000 SF, were constructed on Concordia Village Drive and complement the 14 previously built homes built by S. M. Wilson during Phase I. 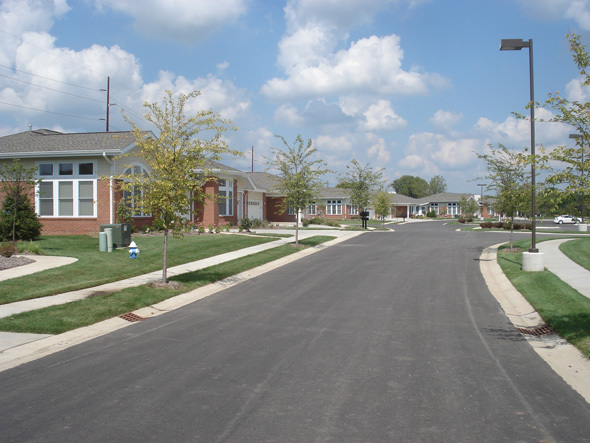 The homes vary in size from two bedroom, two bath to three bedroom, two bath units, all with attached garages. The living room provides 11’-0” ceilings with clerestory windows. 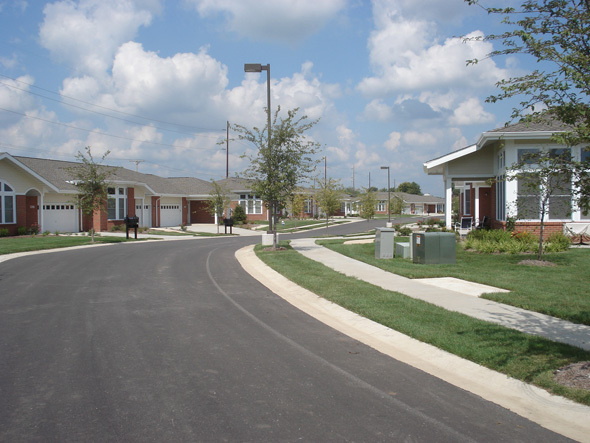 Extra security and peace of mind are provided to residents through a wireless nurse call system that is connected to the central communications of the campus.